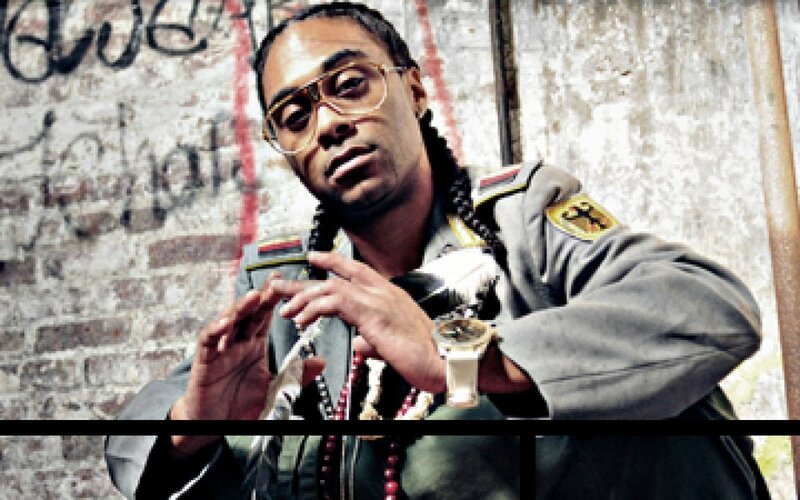 Cavalier is a Brooklyn rapper who was blessed by the rap gods to collaborate on a track with the legendary Raekwon. He’s an MC that works with a lot of indigenous themes, aiming to give them a contemporary light by infusing art with current cultures. We chat to Cavalier about his latest release , ‘Chief,’ the decision to release an edition on a Hot Coil USB Lighter as well as how he came about to work with Raekwon and Tall Black Guy. Adam Lunn writes. Tell us about ‘Chief’ and your creative inspiration behind your tracks. CHIEF was initiated in the think tank that is ‘The Brooklyn Good Guys (BGG)’ and the basic A&R recruitment of beats initiated by artist, rapper ‘Fresh Daily.’ At the time I had not yet joined the collective and they were assisting in curating the project with me as their first 'client'. I still had releases cued and ended up dropping a celebrated project with producer/rapper Quelle Chris called ‘Niggas Is Men,’ so the project grew at an organic pace throughout. Some of the inspirations are from Brooklyn and my attempt to find the esoteric veneer on all of our experiences, and to give context to marijuana beyond escapism. I am also a student of the culture, so I aim to bring context to the spiritual base that was formerly so apparent in hip-hop and the lessons that pioneered the language and references so unique to hip-hop music. What also made you release the album on a Hot Coil USB Lighter? I work with indigenous themes and aim to give them contemporary light. Art had function beyond commodity. In ritual art it is used by practitioners. You can literally use my album as the device to which you ignite your cypher. It is a lighter, it is symbolic of a gold bar as in the standard our currency was formerly based. It looks like something from a previous era that had true value, and it also has digital gold, the ideas, words and sounds that are on the album, and more. I also believe in limited edition, some things are best kept in rarity. How was it working with Raekwon and Tall Black Guy? Honestly, the Raekwon collaboration was a gift from the rap gods. Seriously! Soon after writing the song I had the opportunity to pass it along through the homie A-Live from BGG. I got the verse back like that same night. Raekwon is a god in this. He really is one of the best storytellers of the culture. I want to build a legacy like that, so this is motivating. I am a fan of Tall Black Guy, as I am all of the producers on the record. I knew Fresh Daily was too and I wrote that song with Fresh in mind. It’s hard not to make a great hip-hop standard with Tall Black Guy production behind you, and Anthony Mills added the best of finishing touches with his vocals. Interestingly enough they are both based overseas and still resonate on both sides of the pond. That's ill. I used to get asked that all the time. It actually comes from a nickname a friend gave me, he said I had a savvy, cavalier attitude about me and that eventually became Cav. Everyone calls me Cav. Cavalier is how you put it on the bill. It's a noun, it's an adjective and there are the Cavalier Moors - poets. It works with the narrative I am continuing. Who are your influences as a hip hop artist? My influences as hip-hop artists’ are all dope legendary emcees that I grew up on such as Native drumming, 1950s calypso, Crown Heights, Bed-Stuy, and Bushwick. I know it probably sounds trite, but I'm really born here, first in my lineage. My soul is stimulated by the connections and the evidence of love.